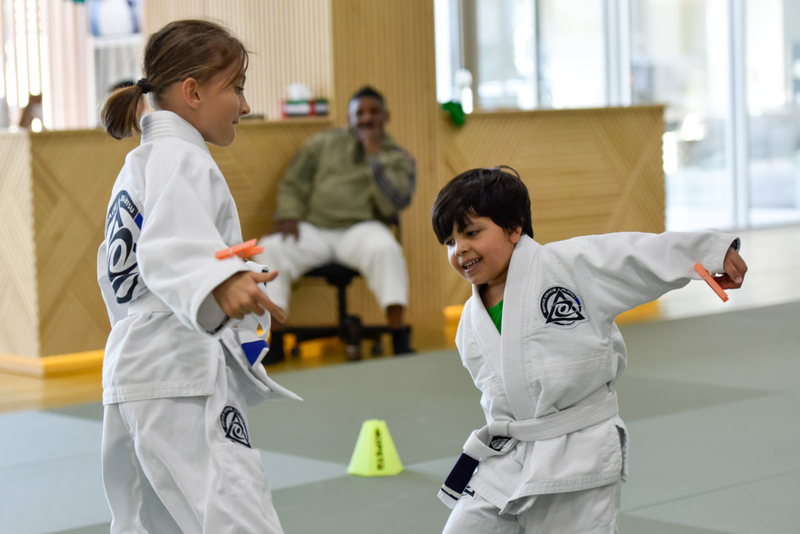 Students as young as five years-old are enrolled in various centres across the city with Jiu Jitsu being one of the most upcoming forms of marital arts in recent years. Born in Brazil in the early 20th century, Jiu Jitsu is a combat sport that teaches self-defence with a focus on grappling, striking techniques and ground fighting. It’s a form of martial arts that was created and developed by masters Carlos and Helio Gracie. 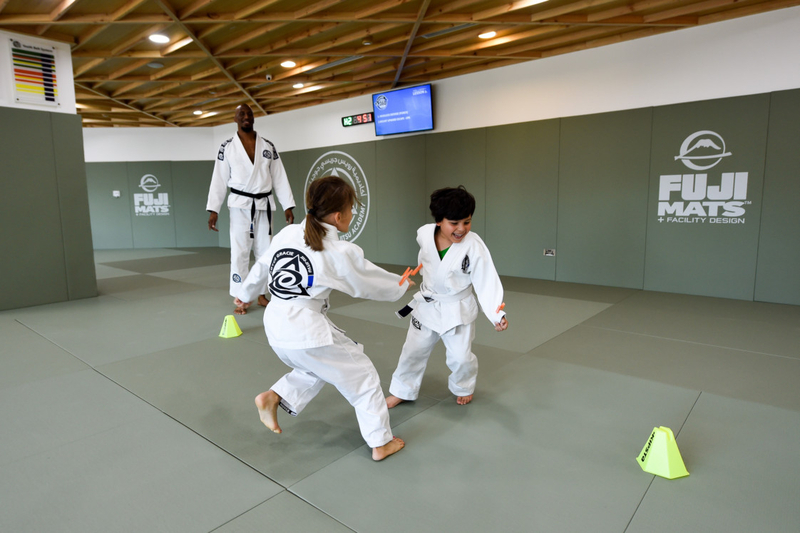 Practicing Jiu Jitsu for over 15 years, Amin Touati, Manager and Head Instructor at the Royce Gracie Jiu Jitsu Academy Dubai said there is a sudden demand for the sport in the emirates. “Jiu Jitsu has kicked out most of the other marital arts. With the UFC and MMA becoming popular, more people are watching the tournaments and looking into the sport,” said Touati, who grew up in Stockholm. He recalled a time over a decade and a half ago when there were only three Jiu Jitsu trainers in the UAE, and very few people interested in the sport. Along with learning the techniques of strikes, holds, locks, chokes, throws, and evasions, Jiu Jitsu teaches its practitioners a range of life skills. Training them how to overcome an attacker with minimal strength, the sport also teaches self-confidence, improves self-esteem, relieves stress, and increases the ability to focus. 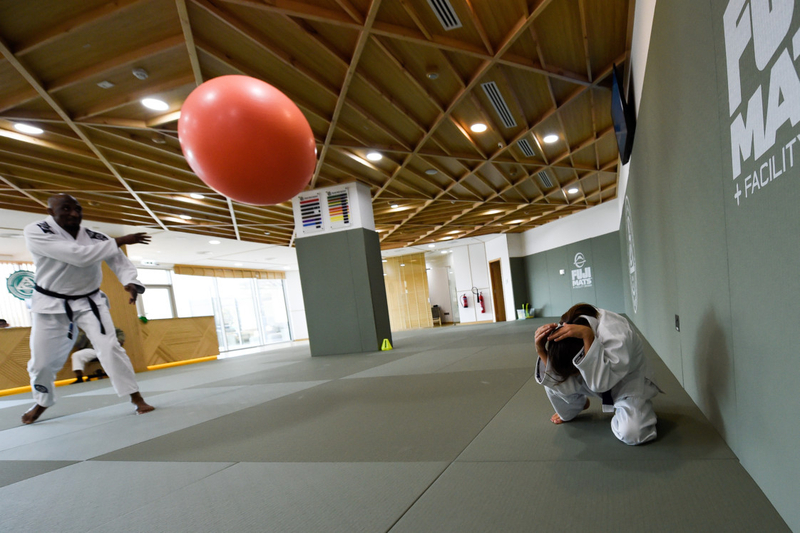 “You see the change in self-confidence with many of the children that train here. A child might be scared to go to school because of fear of physical confrontation with a bully for example,” explained Touati. Along with self-defence, trainers maintain a strong focus on teaching practitioners verbal confrontation. Children are encouraged to use verbal skills such as put up their hands up to raise an issue, tell a teacher, and use their words to defuse a tense situation before resorting to physical action. “We don’t teach them to compete, we focus on teaching self-defence and life skills that they can use for the rest of their lives under any situation,” said Taouti. Eight year-old Cassandre Planchenault, one of the youngest practitioners at the centre has been practicing Jiu Jitsu since the age of six. Taking two classes a week, she hopes to continue the sport until she is a lot older. Her father Franck Planchenault said Jiu Jitsu is not only a great form of physical activity for Cassandre and her 10 year-old brother, but it also teaches them behavioural skills. 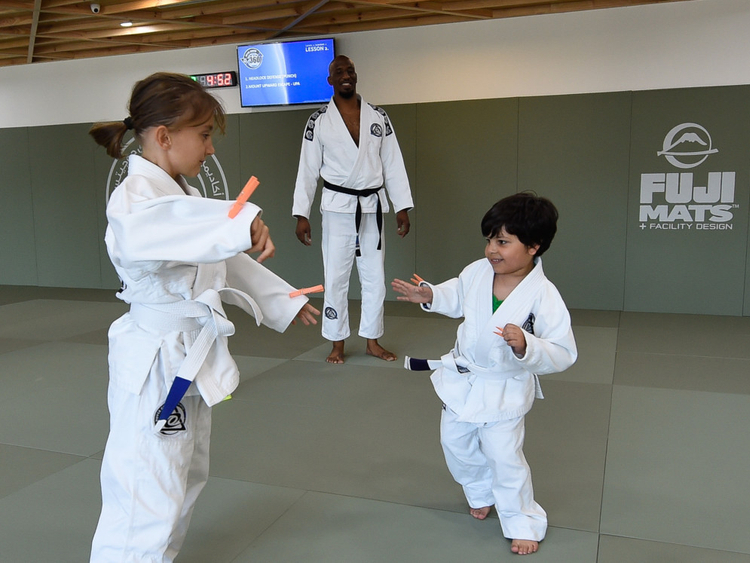 “The impact of Jiu Jitsu has been very positive, because it has made the children more confident in their abilities, both their physical skills and speaking skills — which is why I have always encouraged marital arts from a young age,” he said. 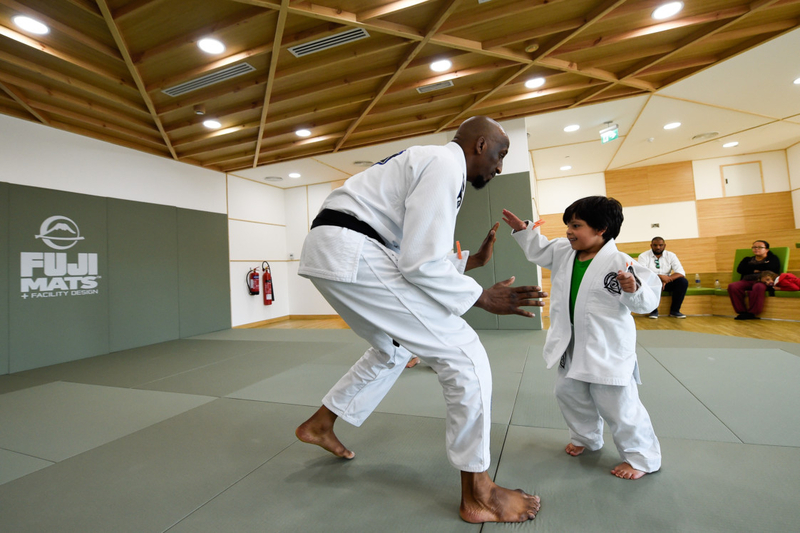 While the sport has seen an influx of youngsters join, Jiu Jitsu centres have also attracted adults as old as 60 years-old. 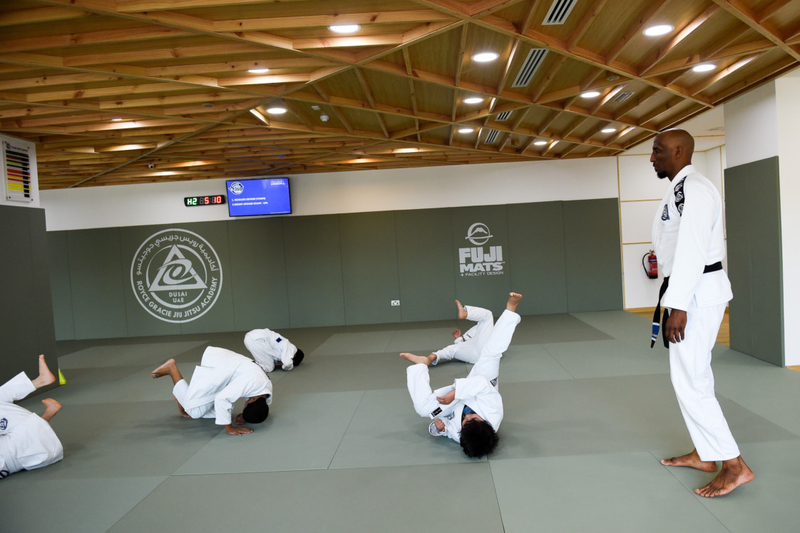 Daron Goodson, a 54 year-old Dubai resident from the US, began taking Jiu Jitsu lesson in 2014 as a way to lose some weight and engage with the community. “The sport taught me how to use my body the way my body is currently designed, and how to use my strengths to my advantage. It has increased my awareness, especially in the US where security matters much more,” said Goodson. He described Jiu Jitsu as a sport that involves quick “cerebral analysis,” pointing out it has also taught him self-confidence and determination. “Keeping cool under pressure is a requirement. Analysis of your opponents’ position and attempting to think a move or two ahead is a requirement. And quick thinking helps in the real world when dealing with customers and in negotiating relationships,” he said. With a great interest in MMA, Goodson, who practices the sport two to three times a week, said he hopes to continue for as long as his body and mind work in union.